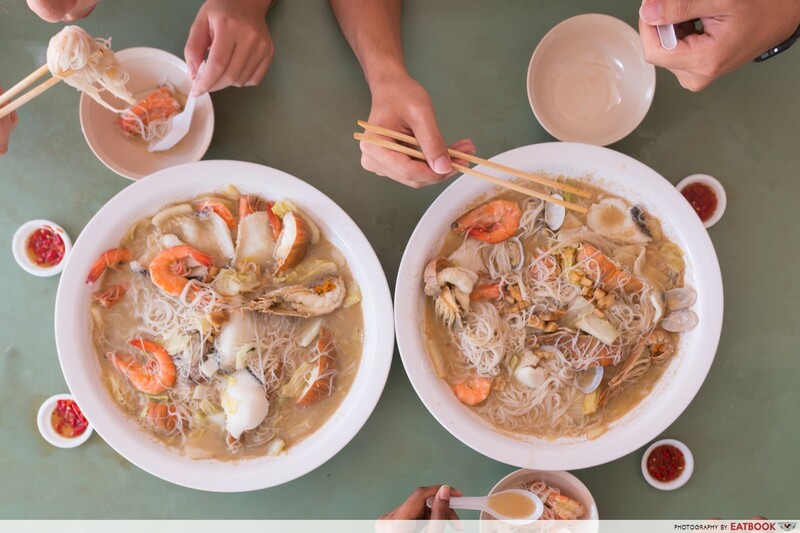 Beyond the sea of nasi lemak stalls and the famous chicken chop hor fun in the food enclave that is Changi Village, lies Woon Woon Pek Bee Hoon and their gigantic bowls of seafood white beehoon. Opened in July last year, the phrase “I wish I had met you sooner” has never felt more apt, as I served my National Service just down the road. 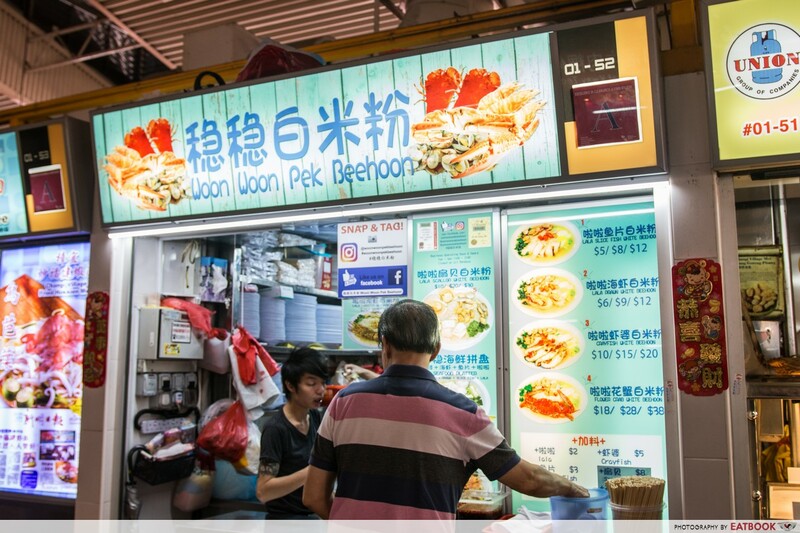 There is no question that hawker stalls can serve restaurant-quality dishes, and Woon Woon is a fine example. 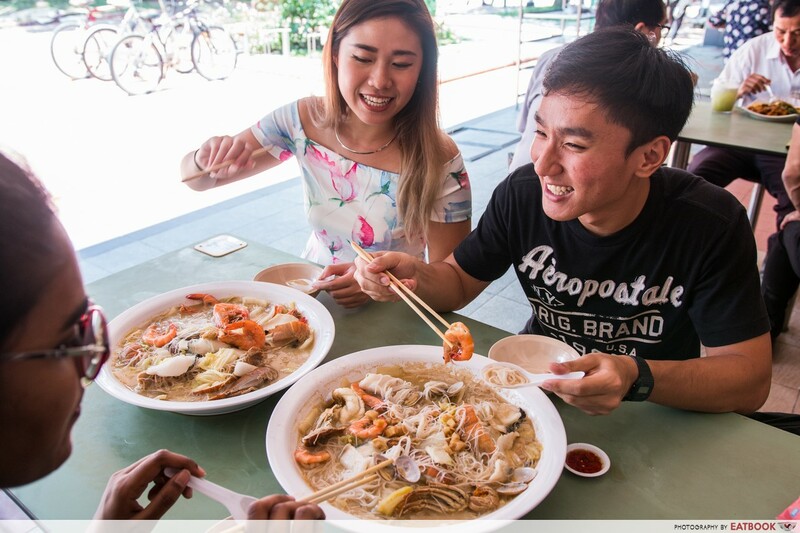 The stall specialises in white beehoon, and you can have it with your choice of seafood – fish, prawns, crayfish or flower crab. 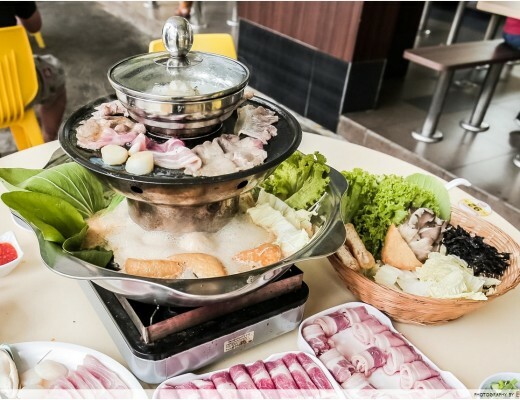 Each dish comes in three sizes, with prices starting from $5 for a plate of Lala Slice Fish White Beehoon. The highlight for us, however, was their massive Seafood Platter ($30) meant for three to four people. With a bowl twice the size of my head and brimming with slices of fish, prawns, crayfish and lala, we attracted plenty of curious onlookers. One auntie even asked if she could take a photo of our meal! 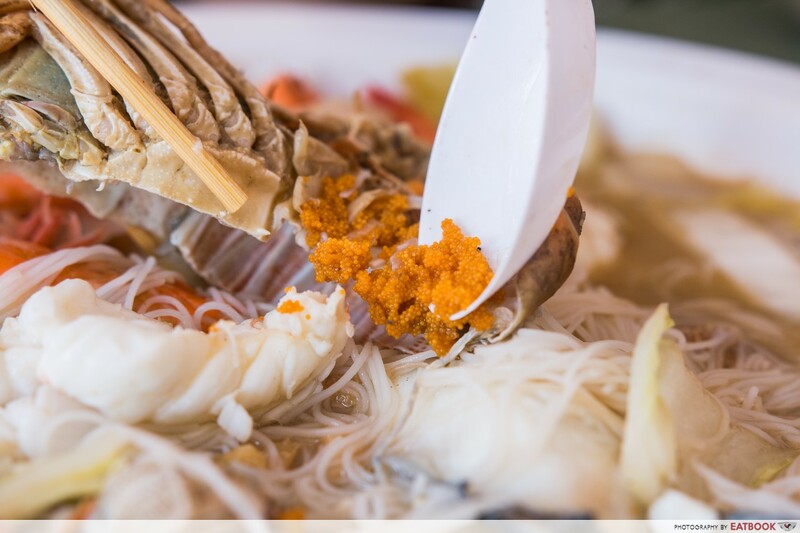 Unlike certain dishes where the scent of seafood is masked by spices and curries, the freshness of each and every ingredient used in seafood beehoon can be very telling. 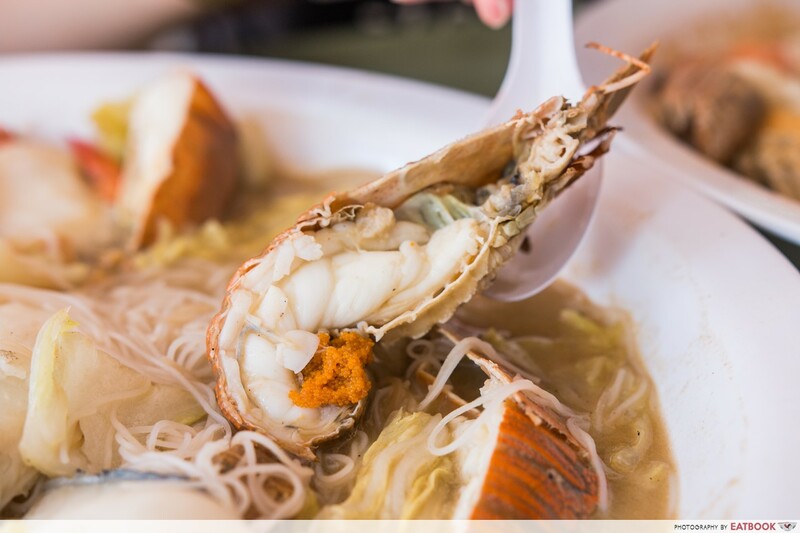 But there’s no worrying about freshness here, as Woon Woon’s stock of crayfish, flower crabs, lala and prawns are brought in fresh and wiped out by the end of each day. 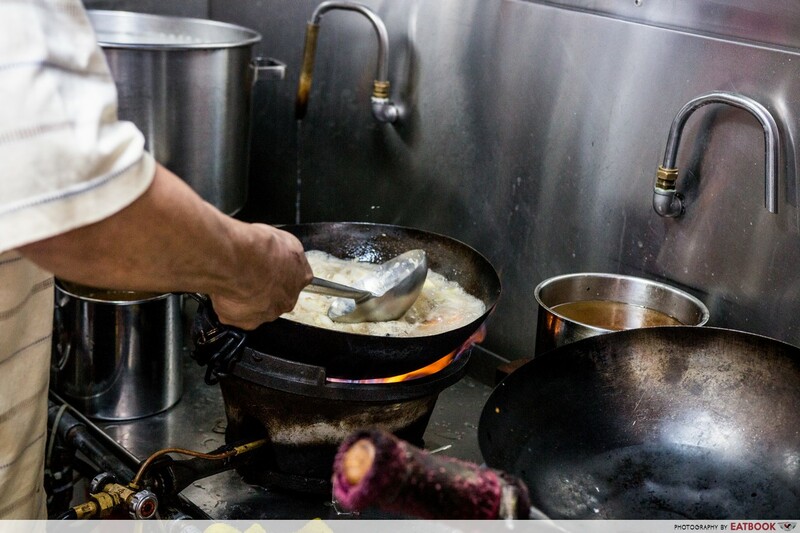 With every order, the seafood are first thrown into a searing wok, and lightly stir fried to give off a wok hei fragrance. 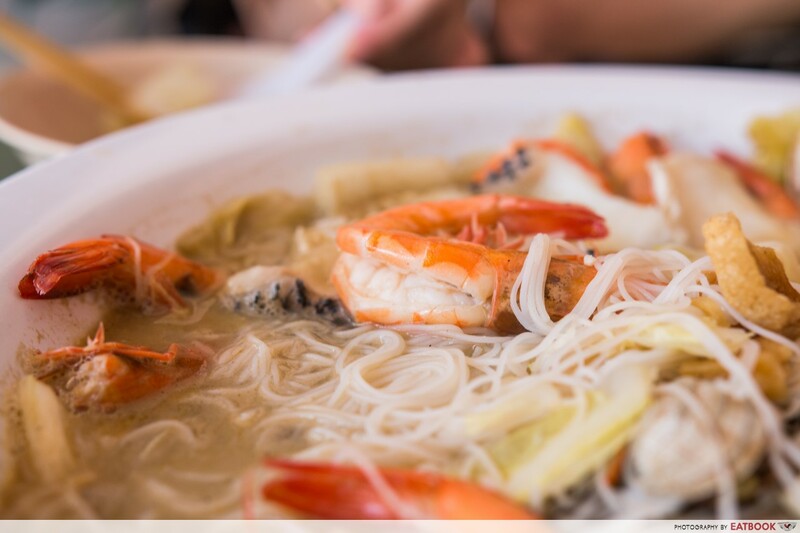 The seafood is then simmered in broth, allowing each ingredient to soak up its essence, before being added to a bowl of white vermicelli, spring onions and cabbage. When they said it was meant for three people, they weren’t kidding. I lost count of the number of clams there were, and three of my colleagues who were sharing another bowl – yes I finished one by myself – struggled to finish all the ingredients. Even the pieces of crispy pork lard in it were generously sized. 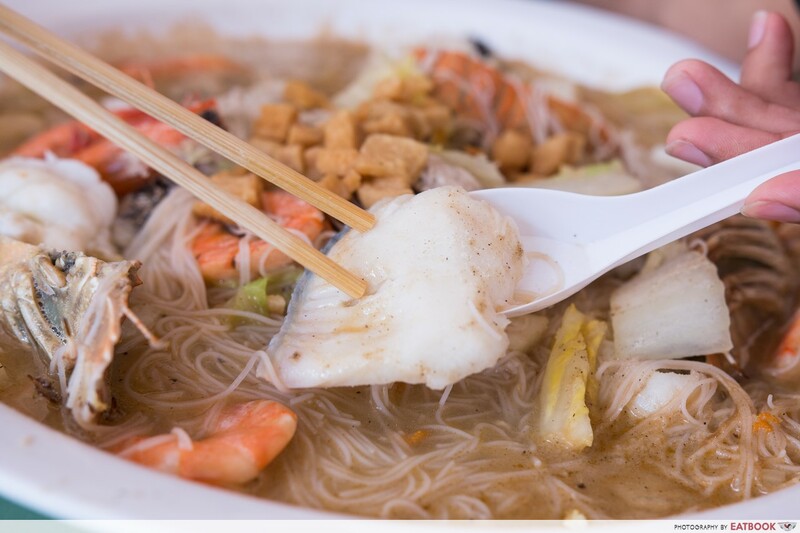 The slices of fish they serve are thick with a firm and tender texture – nothing like the rubbery ones I sometimes get at fish soup stalls. And surprisingly, there wasn’t any trace of the fishy smell that I once again come across all too often. 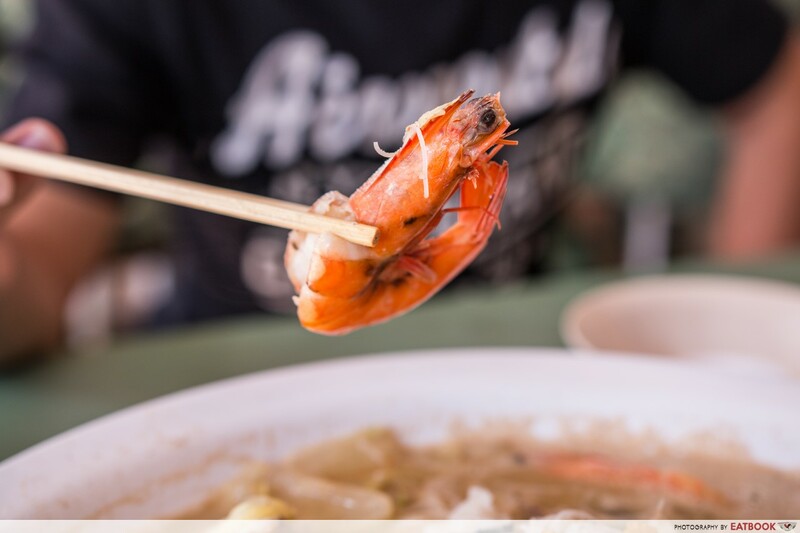 While not the biggest ones around, the size of the prawns were made up for by its quantity. If you’re as lazy as me, you’ll take delight in how each prawn was sliced down the back, making de-shelling a breeze. The real star of the show, however, was their crayfish. 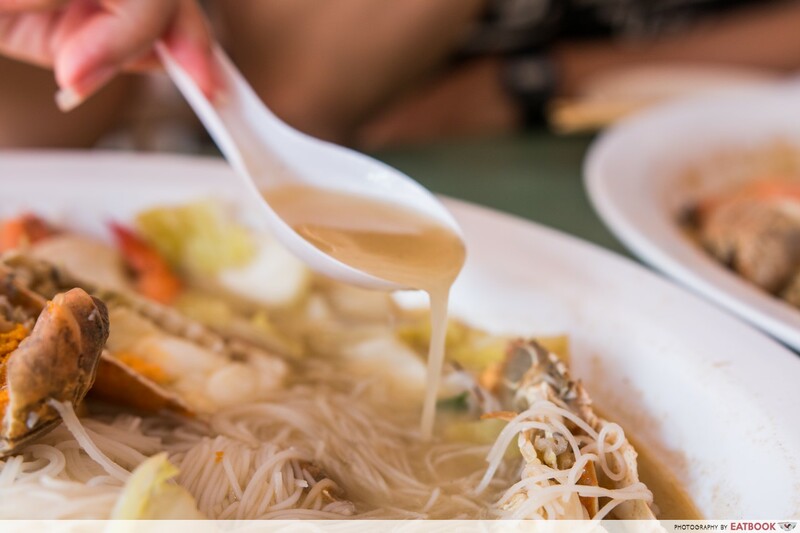 Fleshy and chewy, each of them soaked up the full flavour of the broth, with every bite being an explosion of juicy goodness. Ours even came with roe! 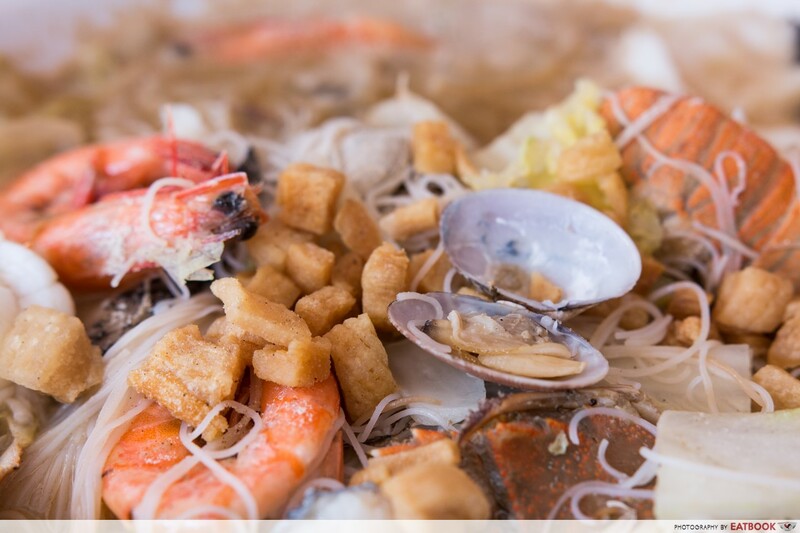 Melding the dish together was the savoury-sweet broth that was full of flavour thanks to the crustaceans. From the first mouthful to my last, I couldn’t stop chanting, “It’s so good.” to my colleagues. There was also none of that MSG-induced thirst I encounter so often nowadays, even at the end of the meal. 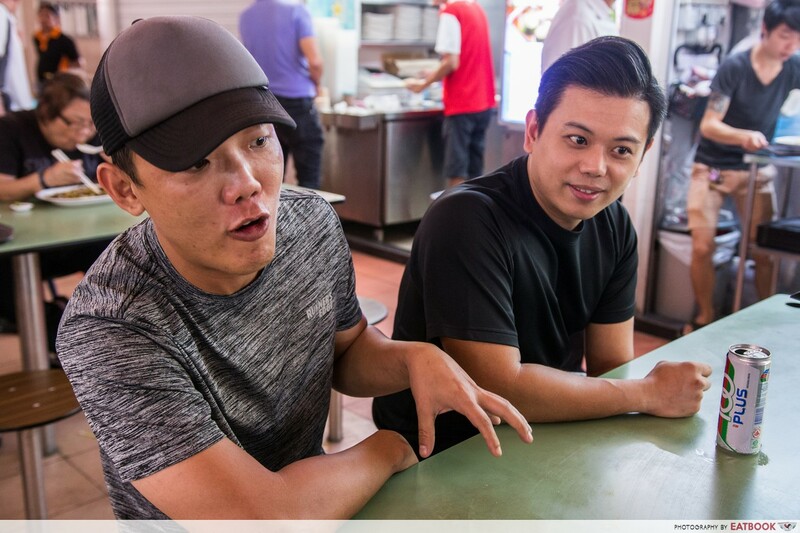 Corporate business partners turned hawkers, Javien and Reece are the guys behind Woon Woon. Foreseeing a downturn in the economy, they sold the companies they had been building up over the last 10 years before venturing into F&B. 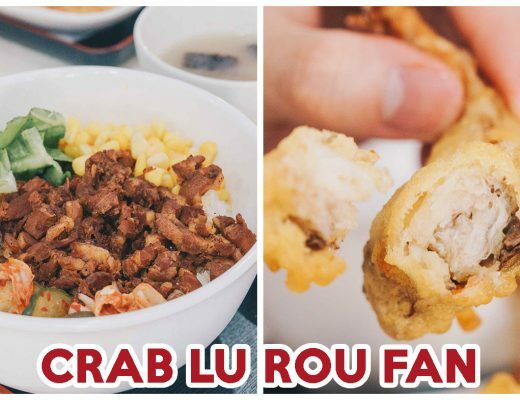 With cooking techniques passed down from Reece’s father – a former restaurant head chef who’s now helping out at their Bukit Timah Branch – there is a strong sense of pride whenever the pair spoke about their dish. 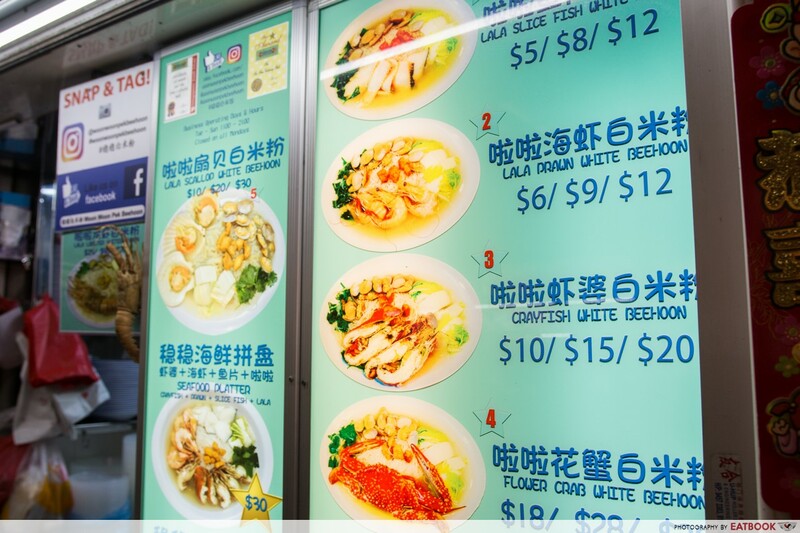 Changi Village Hawker Centre may be one of the most famous hawker centres around, but at the end of the day, there’s a reason why prices can be so competitive here. I perspired as much wolfing down the dish as I did for a run that morning, so it definitely won’t be the most comfortable setting you’ll ever eat at. 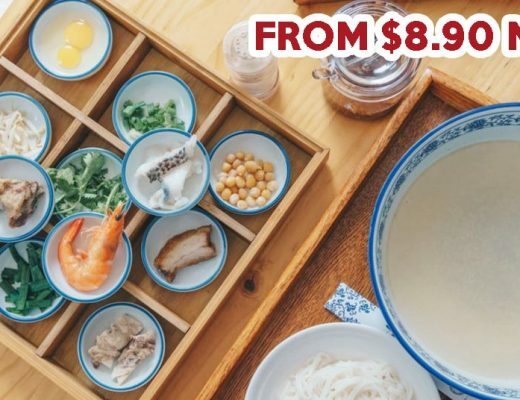 Despite the short weekday queue, each bowl still took a while to arrive as it’s cooked upon order. 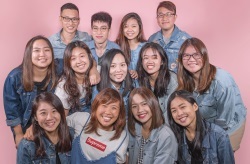 So expect to wait a little, especially during weekends where there will be larger crowds. If it’s testament to how good the dish is, I finished an entire Seafood Platter all by myself. Though I’d still recommend it for a party of three, because it really is a huge bowl. 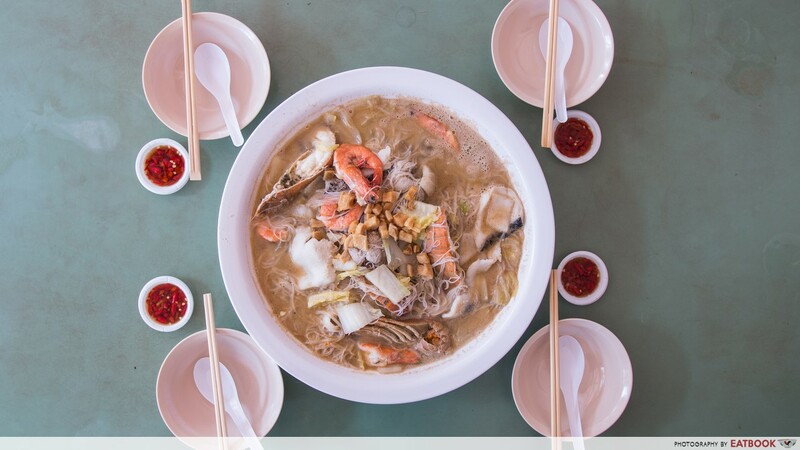 Eating seafood is a pricey affair, and Woon Woon just about manages to keep it affordable. It’s still not something I’ll eat every day, but certainly a dish you can treat yourself to now and then. And I never thought I’ll say this, but I’m looking forward to my next ICT already.